Iowahawk is one of the best satirists on the scene today. In a post he did today, he imagines a phone call between President Obama and a Mexican leader. The topic of Operation Fast and Furious comes up because the Mexican leader's son was murdered by the drug cartels with a firearm provided by ATF. An excerpt is below but follow the link to read the whole thing. Now... now Juan... let's just calm down here a minute. Just, okay.. okay... let me please explain, okay? See, the funny thing is, it turns out, a couple years back there was, well, this stimulus program money, and then there were these brainstorming sessions, where, well, there were some ideas what to do with it. So, anyhoo, one of the ideas that happened was, 'hey, what if there were, say, 2000 machine guns that got sent to Mexican drug lords?' and so forth. Well no, of course we couldn't tell you. It would have ruined the surprise. Well, okay, I guess the gato is out of the ol' bag-o. You know that drug cartel war problem you've been having? So, well, the idea was, hey, wouldn't it be great if somehow we could put a trace on the machine guns, and then, surprise! It'd be a like a whole pinata full of drug lord information. Iain Harrison from Crimson Trace sent out this release today. Crimson Trace’s Facebook friends were rewarded with a sneak preview of the videos last week and these have already proven to be immensely popular. The productions may be viewed either on the CTC website, or on their Youtube channel and the company expects to add new titles to the collection in order to keep up with both consumer demand and new product offerings. Below is a video of Iain Harrison explaining parallax and the Crimson Trace Laser. Their YouTube channel is located here. The NRA challenge to the ban on purchases of handguns from licensed dealers for those over 18 but under 21 was found in the favor of the defendants by U.S. District Court Judge Sam Cummings yesterday. The suit, Jennings et al v. BATFE et al (former D'Cruz v. BATFE), was brought in the U.S. District Court for the Northern District of Texas. The NRA brought this suit approximately one year ago along with a companion suit against the State of Texas to allow the same age group concealed carry licenses. Texas currently only allows those who are serving or have served in the military to be able to obtain Texas concealed carry permits if they are under the age of 21. These are the suits in which the Brady Campaign took the low road and tried to villify James D'Cruz due to his Halloween costume. 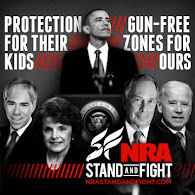 The NRA brought both suits on Second Amendment and Equal Protection grounds. The ban prevents 18- to 20-year-olds from purchasing handguns and handgun ammunition from FFLs who would likely purchase these items were it legal to do so. The NRA presents evidence from its vendor members that they have lost profits from refusing to sell handguns to 18- to 20-year-olds and would sell handguns to law-abiding citizens in this age range if it were legal to do so. The fact that the ban restricts a would-be buyers’ market demonstrates a judicially cognizable injury directly affecting FFLs. See Craig, 429 U.S. at 194. As such, the NRA also has standing to bring this suit on behalf of its FFL members. Judge Cummings then examined whether the ban on the sale of handguns by FFLs to the 18 to 20-years olds violated their rights under the Second Amendment. Noting along the way that nothing precluded them from purchasing handguns in private sales, he said that based upon the exceptions noted in Heller and on 5th Circuit precedent which made a distinction between possessing and the dealing of firearms, the rights of this age group were not violated under the Second Amendment. He then suggested that it was up to Congress to make the decision on this. In essence, it is within the purview of Congress, not the courts, to weigh the relative policy considerations and to make decisions as to the age of the customer to whom those licensed by the federal government may sell handguns and handgun ammunition. With that he granted the government's Motion for Summary Judgment and denied the plaintiffs cross-motion for summary judgment as to the Second Amendment grounds. He also denied as moot the defendant's motion to dismiss on Rule 12(b)(6) grounds (failure to state a complaint). Finally, Judge Cummings examined whether this ban on the sale of handguns by FFLs to 18 to 20-years olds violated their rights under the Equal Protection Clause. While these rights apply expressly to the states, the Supreme Court has found that the Due Process Clause of the 14th Amendment encompasses the rights provided by the Equal Protection Clause. Congress identified a legitimate state interest—public safety—and passed legislation that is rationally related to addressing that issue—the ban; thus, it acted within its constitutional powers and in accordance with the Equal Protection Clause. With that he granted the defendant's Motion for Summary Judgment, denied that of the plaintiffs, and denied the defense motion to dismiss under Rule 12(b)(6) on their Equal Protection claim. I would presume now that the NRA will appeal this case to the 5th Circuit as they needed a judgment at this level before they could move up the appellate chain. I know Alan Gura has said that in the cases he has brought for the Second Amendment Foundation that he has sought a quick decision, whether good or bad, so that the cases can then be brought to the relevant Circuit Court of Appeals. Sebastian at Snowflakes in Hell is critical of Judge Cummings' attempt to punt a decision on this back to Congress. While I would agree with Sebastian, I do think Judge Cummings threw the NRA a bone when it said they and the plaintiffs had standing to sue. I don't think it is reasonable to expect a District Court judge to go against precedent within his own circuit nor what other courts have said post-Heller on this sensitive issue. I think by saying they had standing and by closing this case out in just a little over a year, Judge Cummings may have done as much as he could do. This case was always going to be appealed regardless of how he ruled. UPDATE: The NRA-ILA has announced plans to file a prompt appeal of Judge Cummings' ruling in this case. Yesterday, a federal judge in the Northern District of Texas ruled that the federal ban on dealer sales of handguns to adults from the ages of 18 to 20 does not violate the Second Amendment. The National Rifle Association plans to file a prompt appeal of the court's ruling to the Fifth Circuit U.S. Court of Appeals. "We strongly disagree with this ruling," said Chris W. Cox, Executive Director of the NRA Institute for Legislative Action. "As we said when we filed this case, adults 18 and up have fought and died for American freedom throughout our country's history. They are adults for virtually every legal purpose under federal and state law, and that should include the ability to buy handguns from licensed dealers to defend themselves, their homes and their families. Our fellow plaintiffs in this case are law-abiding and responsible young adults. We plan to defend their rights to the very end." The case is Jennings v. Bureau of Alcohol, Tobacco, Firearms and Explosives. A related case challenging Texas' ban on issuance of concealed handgun licenses to adults in the same age group is still pending before the same court. Grant Cunningham is not only a talented revolversmith but a good firearms trainer as well. He has just published an interesting article on the differences between a straight or non-canted holster and a canted holster and which you should choose for your application. In general, he finds that holsters that allow a straight up and down draw work well in competition events like IDPA but not so well when drawing from a defensive posture. When I started my drawstroke from where I expected to be in an actual fight -- from that threat reaction posture -- my straight-drop holster felt as if it locked my gun into place. It was difficult to remove, and I found myself rising to a more upright position just to get the gun out of the holster. That sort of defeated the purpose of the realistic training! When I realized this (and it took me about a year -- I’m a stubborn learner), I changed to a forward-canted holster. That design was not suitable for competition but perfect for realistic defensive shooting practice because it conformed to what my body was most likely to do in a real life-or-death struggle. The canted holster puts the exit path of the gun closer to the natural movement the hand is likely to make from an actual defensive posture. Put another way, the canted holster places the gun in the position the body is going to find itself in during a fight! It works better with the body’s natural reactions and trained responses than the straight-drop holster does. That makes it easier and more efficient to use under the circumstances in which I expect to defend myself. This is an excellent article full of good illustrations. Grant's parting advice is well worth taking to heart - "Pick your gear for the fight you’re likely to have, not the one you want to have." Michael Bane in his Downrange Radio podcast, Episode 232 had a great comparison between the TV show Sons of Anarchy and the ATF at about the 11 minute mark. If someone can tell me the difference between the Bureau of Alcohol, Tobacco, Firearms and Explosives and the Sons of Anarchy, I'd sure like to hear it. I don't know if you've seen the show Sons of Anarchy - it's a biker gang that runs guns. Gosh! I actually don't understand the difference between Sons of Anarchy and ATF. They both run guns. They both don't pay attention to the national borders. They both don't care who the collateral damage is. Frank Miniter - "Obama's Watergate"
Frank Miniter just had an article published on Project Gunwalker in Forbes Magazine. He discusses it with Cam Edwards of NRA News and says that Operation Fast and Furious may turn out to be President Obama's Watergate. Of course, no one died as a result of the break-in of the DNC in the Watergate Complex. Instead of calling this the Quote of the Day, it really is snark so I'll call it the Snark of the Day. It comes courtesy of a Tweet by Iowahawk. It combines both of the scandals du jour of the Obama Administration. The EPA is reviewing my $1 billion bid to make solar machine guns for Mexican drug lords. The Black Man with a Gun, Rev. Kenn Blanchard, gives his take on the 2011 Gun Rights Policy Conference in this video presentation. It was really good sharing some time with Kenn in Chicago who, by the way, gave the opening invocation for the Conference. The North Carolina gun blog, An NC Gun Blog, turned one today. I'm not sure what that is in real years but it has to be at least 10! Congratulations to Sean on a job well done and I look forward to getting together with him and a few other bloggers for our mini-blogger shoot in October. Another win for Rhonda Ezell and the team of Alan Gura and David Sigale! In a decision released today, Judge Virginia Kendall said that despite the rewriting of the Chicago Gun Range Ordinance, it doesn't moot the case and denied the City of Chicago's motion to dismiss the case. Though the Court cannot conclude that the new ordinance is the same as the old without further litigation, as the Supreme Court did in Northeastern Florida, it is consistent with that case not to dismiss the instant litigation as moot and instead to let the parties litigate the issue of whether the new ordinance is a de facto ban on firing ranges or so burdensome as to infringe on Chicagoan’s Second Amendment rights. Moreover, as a practical matter, Ezell is either going to: (1) challenge the constitutionality of these restrictions by filing an amended complaint as part of this case; or (2) file a new case attacking the same restrictions. The Court sees no upside in making the parties start over with another judge who has less familiarity with the issues and facts of the case than this Court. She then set Friday, September 30th as the deadline for the parties to submit an agreed proposed injunction order or separate proposed injunction orders if they cannot agree. The plaintiffs have until October 15th to submit an amended complaint which her attorneys have indicated they will doing. Finally, she set a status hearing for October 26th. Jackson v. City and County of San Francisco was filed back in May of 2009. The suit challenges three San Francisco ordinances on Second Amendment grounds. Yesterday, Judge Richard Seeborg of the U.S. District Court for the Northern District of California issued a ruling on San Francisco's Motion to Dismiss for Lack of Jurisdiction. He denied their motion and said the case can move forward. On September 27, 2011, Judge Richard Seeborg of the United States District Court, Northern District of California, issued his long awaited ruling on San Francisco’s Motion to Dismiss for Lack of Jurisdiction. Holding that the plaintiffs had "adequately alleged an intent and desire to engage in conduct that is prohibited by the ordinances but which they contend is constitutionally protected," the court denied the City’s motion. The case, entirely funded by the NRA and CRPA Foundation, can now move forward toward a determination of its merits. The full text of the court’s Order Denying Motion Dismiss for Lack of Standing can be viewed here at www.calgunlaws.com. The order was issued in Jackson v. City & County of San Francisco, No. 09-2143 (N.D. Cal.). The Jackson lawsuit, filed on May 15, 2009, challenges three San Francisco ordinances on Second Amendment grounds. Specifically, the lawsuit alleges that the City’s enactment and enforcement of three city ordinances requiring firearms be disabled by a trigger lock or stored in a locked container, banning the sale of ammunition that "serves no sporting purpose," and prohibiting firearm discharges with no self-defense exception unduly burdens the right to self-defense. The Jackson case has already been successful in forcing the City to amend its discharge ban, a law that has been in place for some 73 years, to allow for discharges in self-defense, defense of others, and all other circumstances allowed for under state and federal law. On February 10, 2011, the City responded to Plaintiffs’ Complaint with a motion to dismiss the case based on its claim that the City does not enforce the challenged ordinances. As such, the City argued, Plaintiffs have no legitimate fear of prosecution and otherwise suffer no injury by complying with the law. The technical claim was that Plaintiffs lack "standing" to bring their claims, based on the dearth of prosecutions to date. In short, the City exposed itself as unconcerned that its ordinances in fact coerce law-abiding citizens to surrender their constitutional right to self-defense. Plaintiffs responded on March 23, 2011, arguing the City’s motion should be denied. Plaintiffs regarded as unpersuasive the City’s claims that its ordinances are not and have not been enforced and that Plaintiffs suffer no injury by obeying these laws. Ultimately, Plaintiffs asked the court to recognize the very real harm they each suffer by complying with the unconstitutional laws. The court’s ruling did just that. Plaintiffs laud the decision, upholding reason over rhetoric and recognizing the "immediacy and concreteness of the injury [Plaintiffs] have alleged" and the unreasonableness of requiring a self-defense emergency, or a criminal prosecution, to arise before judicial review of these laws is available. The ruling paves the way for future Second Amendment litigants in the Ninth Circuit. North Carolina Gov. Bev Perdue's press secretary and her enablers in the press want to pass off her anti-democratic remarks yesterday as some sort of a joke. After listening to the audio recording of her statement, I think she was dead serious when she made that statement about postponing elections for two years. Again, I have to question the mental capacity of any American politician who would make a statement so blatantly and obviously stupid and irresponsible as well as their fitness to remain in office. Dave Yates of GunLeaders Blog sent me this alert last week and asked that I help publicize it. I would urge you to submit a comment on this proposed Freedom of Information Act fee change. The comment period has been extended until October 19th. More details at the link below. The lawsuit against Omaha that I alluded to on Twitter from the GRPC has been filed. Pliego Gonzalez v. Omaha attacks the City of Omaha's prohibition on the registration of a handgun by a legal resident alien. I'll have more on the case after I get a chance to read the complaint. SAF’s lawsuit, on behalf of Armando Pliego Gonzalez, a resident alien living in the city, is joined by the Nebraska Firearms Owners Association. They are represented by attorneys Bernie Glaser of Lincoln, and David Sigale of Glen Ellyn, IL. Defendants are the City of Omaha, Mayor Jim Suttle and Police Chief Alex Hayes. Pliego, a member of both SAF and NFOA, has been admitted legally to this country as a resident alien for permanent residence. He was approved as a permanent resident in October 2008. His wife is also a lawful permanent resident, and the couple has four children. After his home was invaded and robbed in 2010, Pliego sought to arm himself to defend himself and his family. However, Omaha’s prohibition stands in the way. When he tried to register a handgun that he had legally purchased, the Omaha police denied the application. “Mr. Pliego jumped through all the hoops, and yet was denied his right of personal protection because of a city municipal code,” Gottlieb stated. “The citizenship requirement in Omaha’s code is an unconstitutional denial of equal protection under the Fourteenth Amendment, and the Second Amendment right to keep and bear arms. “We’re asking the court for a declaration that the citizenship requirements contained in the Omaha code is unconstitutional,” he concluded. UPDATE: The JournalStar of Lincoln, NE has more on the lawsuit here. Mark Vanderberg and Doc Wesson of the Gun Rights Radio Network filmed (or more accurately, videoed) both days of the Gun Rights Policy Conference held this past weekend in Chicago. They have taped their live feed and have made it available for those that just could not make it to the conference. This is over 13 hours of video. For those that are unfamiliar with the Gun Rights Radio Network, it now features approximately 24 podcasts on topics ranging from gun rights to gunsmithing. It includes people such as Michael Bane, Massad Ayoob, Bob Mayne, Doc Wesson, and, of course, the Gun Dudes. It is a voluntary project started by Mark that grew out of his Gun Rights Advocates Podcast. As Mark says, this isn't about guns, it is about freedom. If you'd like to listen to any of the podcasts or, more importantly, make a donation go to this link. GRRN exists on voluntary subscriptions and donations. It is totally a grassroots effort funded by people like you and me unlike the Joyce Foundation funded gun prohibitionists. Sheriff Jim Wilson and Jim Supica, Director of the NRA Firearms Museum, discuss the evolution of the U.S. Army's handguns up through and including the introduction of the Colt 1911. There are some handguns shown here that I think most people have never even heard about much less seen. Barron Barnett has the story of a young 22-year old with Down's Syndrome who was beaten by Miami-Dade Metro Police when they stopped him over a "bulge" in his pants. The bulge? A colostomy bag. Some things just make you sick to your stomach and this is one of them. In what has to be the stupidest political statement of this year or any year, Gov. Beverly Perdue (D-NC) suggested at a Rotary Meeting in Cary that the next Congressional elections be suspended for two years so that "so that Congress can focus on economic recovery and not the next election." Chris Mackey, Perdue's press secretary, later clarified that she meant it as a joke according to an email sent to The Daily Caller. Some joke. While I don't believe Gov. Perdue can be impeached as stupidity isn't an impeachable offense according to § 123‑5 of the NC General Statutes which details the causes for impeachment, I do question her mental capacity to serve. The North Carolina Constitution speaks to that in Article III, Sec. 3 (4). Mental incapacity. The mental incapacity of the Governor to perform the duties of his office shall be determined only by joint resolution adopted by a vote of two-thirds of all the members of each house of the General Assembly. Thereafter, the mental capacity of the Governor to perform the duties of his office shall be determined only by joint resolution adopted by a vote of a majority of all the members of each house of the General Assembly. In all cases, the General Assembly shall give the Governor such notice as it may deem proper and shall allow him an opportunity to be heard before a joint session of the General Assembly before it takes final action. When the General Assembly is not in session, the Council of State, a majority of its members concurring, may convene it in extra session for the purpose of proceeding under this paragraph. That said, we all know the General Assembly isn't going to a damn thing except huff and puff about it. If I were her opponent in the 2012 General Election, I would keep reminding the voters of that every chance I got so we can send the self-described "the coal miner's daughter" back to New Bern. Ace of Spades and Mike Vanderboegh both have some good comments on Perdue's so-called "idea". UPDATE: JammieWearingFool reports that more criminal charges are expected in an investigation of Bev's campaign expenses. His suggestion to Bev - Maybe North Carolina's Democrat Governor Beverly Perdue should suspend her re-election efforts while her campaign is under criminal investigation. Or maybe she can just declare a statewide State of Emergency and suspend both elections and gun rights. Now is about the time that companies start their United Way Campaigns. I know our parent company is really pushing it this year and is looking for 100% participation. They will even match my contribution at 50%. If you don't specify an agency, your contribution goes into the UW General Fund and is spread out amongst the recipient agencies. Some of these you may like and some you may not. Some may even be actively working to restrict gun rights. There is an alternative. You can designate the organization to receive the money. They don't publicize this much but you can do it. The only requirement is that the organization be a 501(c)3 non-profit. So how can you combine the United Way with the fight for gun rights? Simple - designate your gift to go to the Second Amendment Foundation. They are a 501(c)3 non-profit and are eligible to receive United Way monies. Their ID number for the United Way is 91-6184-167-501-C3. The 2011 Gun Rights Policy Conference is over and the attendees should be home by now. I think it was a good event attended by a lot of committed individuals who gained a lot of knowledge that they can bring home to use in the fight for our rights. My first impression is that compared to last year there were more women - especially younger women - and there were definitely more African-Americans. This is good news as it shows the broadening of the gun rights movement and increases our depth. I noticed that many of the younger women dressed for the occasion. When I mentioned this to the Complementary Spouse she said it was because when women attend a conference that they consider important they dress for it. That they considered it important is a great sign. Project Gunwalker was prominently featured at the conference. David Codrea, Dave Workman, and Mike Vanderboegh all attended the conference. Codrea and Workman also did a panel presentation on it and gunwalking was mentioned by a number of other presenters as well. One thing that Dave Workman said after the opening night reception really struck me. A few people were gathered together discussing it and Dave noted how the ATF managers were giddy when guns were found at crime scenes that traced back to Operation Fast and Furious. Dave said with much anger in his voice that for it to be a crime scene that it meant someone's husband or wife or son or daughter lay on the ground dead or bleeding to death. Moreover, they lay there dead or dying because someone in our own government wanted to build support for his or her agenda. That was very powerful. The current SAF legal cases were discussed and more will be coming. Either today or tomorrow, a new case will be launched in Omaha, Nebraska challenging their regulations. I don't have the details yet but will report on them when I can see the complaint. And on a happy note, the City of Chicago had to cough up almost $400,000 in attorney's fees for the McDonald case which was received this past week. I am still digesting the information that I gathered over the weekend and will be reporting on it over the next week. In the meantime, if you go to Twitter, do a search for tweets with the #GRPC hashmark. I put out a number of tweets as did Thirdpower, Tom Gresham, and the ProArms podcast people. Massad Ayoob also did some posts of his blog with a summation of each day's events. Day one can be found here and day two is here. On a final note, I have been reading Professor Adam Winkler's book Gun Fight which details much of the back story behind District of Columbia v. Heller. For those that don't know, this case was personally funded by Bob Levy who is now Chairman of the Cato Institute. On my way home to the mountains of North Carolina, I ran into Mr. Levy. He was taking the same flight to WNC as I was. I could not think of a better or more fitting end to the weekend than to meet the man who helped insure that the Second Amendment remained a viable part of the Bill of Rights. UPDATE: Thirdpower at Days of our Trailers has pictures up from all three days of the conference. You can find them here, here, and here. He's a good photographer and even made me look good! There are also a number of pictures up on ISRA's Facebook page. UPDATE 2: Rob Reed is the Detroit Gun Rights Examiner. I first met Rob at the Lucky Gunner Memorial Day Blogger Shoot. He has an article up about the conference here and discusses in detail the award won by David Codrea as the CCRKBA Journalist of the Year. ATF And FBI I Can Understand But The FDA? When it comes to investigating illegal sales of firearms, the Federal agencies that you usually think would be involved are the ATF or the FBI. In a case from Indiana another Federal agency has gotten involved - the Food and Drug Administration (FDA). According to a story from WBEZ - Chicago Public Radio, three police officers in the Lake County, Indiana Sheriff's Department are facing Federal indictment for selling full-auto firearms and laser aiming devices on the Internet. Some of these have been traced to crime scenes in Canada and Mississippi. Lake County is situated in the northwest corner of Indiana and includes the cities of Gary and Hammond. The three indicted officers are Edward Kabella, a patrol officer; Ronald Slusser, SWAT officer and firearms instructor; and former Deputy Chief Joseph Kumstar. They are alleged to have bought 74 full-auto firearms and 92 laser devices and then resold them. The three officers purchased the H&K machine guns in the name of the sheriff’s department, since these types of guns can only be purchased by law enforcement agencies, according to the indictment. The guns were shipped to the sheriff’s department in Crown Point and then removed to Slusser’s home. The barrels and additional parts from the machine guns were then removed and sold on the Internet. The men are also facing charges that they understated their income from the sale of the guns and parts. The purchases all took place during the administration of then-Sheriff Roy Dominguez. He says he had no knowledge of it but that he knew that his chief deputy Joseph Kumstar had a side business selling firearms as an FFL. One of the more interesting aspects of this story is not that crooked cops were selling firearms but who did the investigation into the case. It was the Food and Drug Administration. "It’s unfortunate when persons in positions of trust allow their greed to cause them to disregard their oath to enforce the law and subsequently betray and endanger the public they serve,” said Dan Hensen, Special Agent in Charge of the Criminal Investigation’s Unit for the Food and Drug Administration’s office in Chicago. The FDA is involved in the investigation because laser devices fall under its jurisdiction. As the picture above shows, the lasers in question appear to be higher-power military-grade lasers. The picture above is a screen cap of The Drudge Report from this afternoon. It links to this Fox News story which is based upon work by David Codrea and Mike Vanderboegh. Maybe now the so-called elite media will pay attention given that it is the lead headline in The Drudge Report. What the headline refers to is a letter signed by Phoenix AFT Group VII supervisor David Voth authorizing an FFL to transfer firearms to ATF Senior Agent John Dodson without requiring a Form 4473 and paid for with government funds. Read the Fox story but more importantly read both Mike and David. They have the proof in the form of the letter signed by Voth with the handwritten note from the dealer who filled the order. Botched sting operation, my foot. As I've mentioned more than once on this blog, I teach financial and retirement planning as an Adjunct Instructor for undergraduates majoring in Financial Planning at a local university. This year all campus employees including adjuncts are required to take a mandatory safety class. If it were CPR or how to respond to a medical emergency, I think it would be valuable. However, it is a "class" on how to deal with "violent situations." Western Carolina University is committed to creating and maintaining a culture of safety. As part of the university’s on-going safety initiative, all employees will attend a Campus Safety Training presented by the WCU Police Department and Emergency Management in conjunction with representatives from Academic Affairs, Student Affairs and the Office of Human Resources. This training is mandatory for all campus employees and will be held on numerous dates over the coming months. The goal of this training is to increase campus community awareness to methods utilized and action steps to be taken if confronted with a violent situation; individual and departmental response; preparedness and prevention. A UNC sanctioned video entitled “Shots Fired” is included in the training program. Objectives of this training include but are not limited to: learning to recognize a potentially unsafe situation; learning the university systems and processes for handling a violent situation; learning about on-line websites/linkages to access policies, procedures, and presentations; and identifying campus consultants, referral contacts, and crisis teams/committees. I'm afraid that this so-called class will be nothing more than a safety masquerade, a sham, a Potemkin village, required in an effort to cover the University administrators' rear-ends so that they can say they are "doing something". The reality of the matter is that I am precluded by both North Carolina law and university regulations from doing the one thing that might actually increase my own personal safety as well as that of the students in my class. That is, of course, to carry a firearm concealed. 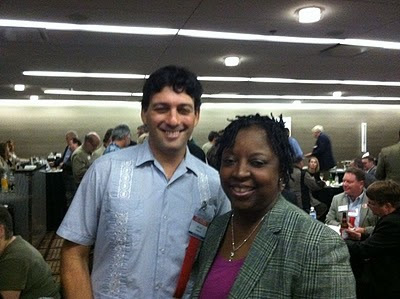 Alan Gura and Rhonda Ezell were both at the opening reception of the Gun Rights Policy Conference tonight. Ms. Ezell is the lead plaintiff in Ezell v. Chicago. While I don't think you can see it in the photo, she was wearing a pair of silver 1911 earrings which were really cool. I wonder if wearing a pair of 1911 earrings is considered open carry in Chicago. 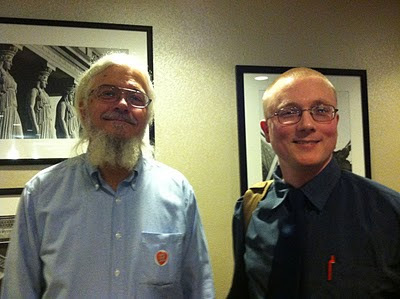 Among the bloggers that I met at tonight at the opening reception of the 2011 Gun Rights Policy Conference were Thirdpower (right ) of Days of Our Trailers blog and David E. Young (left) of On Second Opinion. David is one of the foremost authorities on the original documents concerning the Second Amendment. I also ran into David Codrea of Gun Rights Examiner, Mike Vanderboegh of Sipsey Street Irregulars, and Dave Workman of Gun Week and the Seattle Gun Rights Examiner. 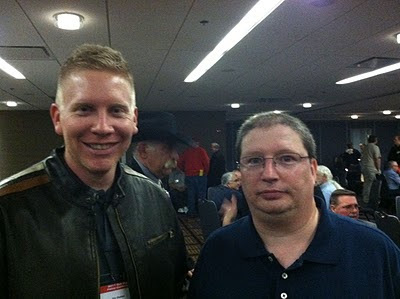 Among the podcasters I met at the opening reception for the 2011 Gun Rights Policy Conference were Eric Shelton (left) of the Handgun Podcast and Mark Vanderberg (right) of the Gun Rights Advocates Podcast and the organizer and head of the Gun Rights Radio Network. I also spoke with Rev. Kenn Blanchard of the Black Man with a Gun podcast. The Arizona Citizens Defense League sent out the following alert last night. I didn't have time to blog it then but anytime there is a government proposal that could declare 486,000 acres of desert land off-limits to shooting, it is important. While I live clear across the country from Arizona, what the Federal government does there impacts me just as much as if I lived in Phoenix or Tucson. I am surrounded by Federally-owned land in western North Carolina. Haywood County is approximately 50% Federal land and there are counties west of me where that proportion is even greater. Federal land managers talk to other Federal land managers at conference while eating their $16 muffins. President 0bama promised that he was going to implement efforts to erase your right to bear arms “under the radar.” Now, he’s brought the fight to Arizona. Using the Bureau of Land Management (BLM), the 0bama administration has proposed banning recreational shooting in the half-million acres of Sonoran Desert National Monument. BLM has released proposed plans for the future management of nearly 1.4 million acres located southwest of Phoenix, in parts of Maricopa, Pinal, Pima, Gila and Yuma Counties. Of that total, over 486,000 acres are within the Sonoran Desert National Monument. The proposals can be found at: http://www.blm.gov/az/st/en/prog/planning/son_des.html . Two of the possible alternatives (“D” and “E”) propose closing the area to recreational shooters. Presently, some 63 sites in the national monument are used by recreational shooters. The proposed plans also address other issues of importance to shooters and hunters, including the designation of roads and trails for motorized vehicles and areas that could be managed as wilderness. If you ride, hike, hunt or shoot in the Sonoran Desert National Monument, you need to get involved in this planning process! The public comment period is open through November 25. Instructions for making comments can be found at: http://www.blm.gov/az/st/en/prog/planning/son_des.html . Comments can be faxed or mailed to BLM, Phoenix District Office. At the BLM website (http://www.blm.gov/az/st/en/prog/planning/son_des.html) you will also find a series of public BLM meetings, being held in October, to discuss the proposal to ban recreational shooting in the Sonoran Desert National Monument. Meetings will be held in Phoenix, Mesa, Casa Grande, Buckeye, Gila Bend and Ajo. We urge you to attend as many of these meetings as possible. This is not the first time that the BLM has attempted to close an entire national monument to shooters, making no attempt to provide places for and access to shooting sites. The Ironwood National Monument shooting ban was defeated because of the outcry from concerned citizens (you!). Together, we can defeat the 0bama administration’s proposed Sonoran Desert National Monument shooting ban! I'm getting ready to leave for the airport for the flight to Chicago by way of Detroit. I get to go to all the best cities! It is hard to believe that after all these months the Gun Rights Policy Conference begins in less than 12 hours. I will try and post some pictures from the opening reception tonight on the blog. I plan to Twitter and blog throughout the conference so stay tuned. Former N.M. Governor Gary Johnson probably delivered the best line of the campaign season tonight. He might be a little stiff about it but he definitely got the point across. Linoge - More Guns Do Not Equal More "Gun Violence"
Linoge of Walls of the City blog has followed up his earlier post on CDC data showing a negative correlation between the number of firearms and gun-related deaths with one using recently released FBI data. In this examination, Linoge looked at the correlation between the number of firearms and crimes. Used by permission of Linoge. Like with his earlier study, he found a negative correlation between the number of firearms and crime. 2. When comparing raw numbers, there is a weak, negative correlation between the number of firearms in America and the number of crimes committed with firearms, and this negative correlation seems to grow stronger the more data we have. 3. 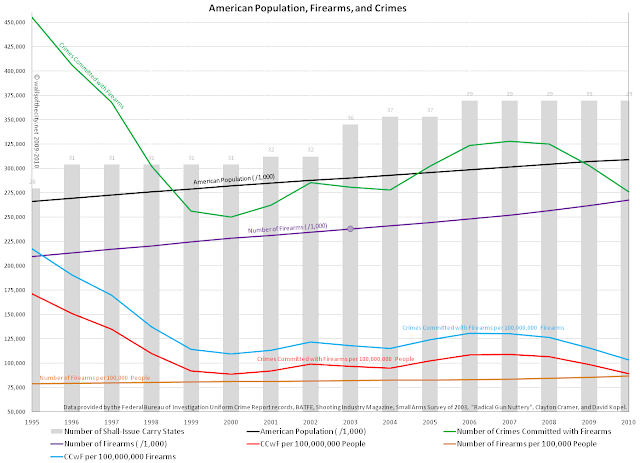 When comparing rates, there is a strong, negative correlation between the number of firearms per person in America and the number of crimes committed with firearms per person, and this negative correlation also seems to grow stronger the more data we have. As I said about his first study, this is important research. It gives those of us who are pro-rights the quantitative ammunition with which to counter the flimsy arguments of the anti-rights bigots in the gun prohibitionist camp. These studies are ones that you should bookmark, print out, or share with like-minded friends. Incredibly enough, this report comes from CNN. It details the letter sent by Rep. Darrell Issa (R-CA) and Sen. Chuck Grassley (R-IA) accusing the DOJ of interference in their investigation. The NSSF has released another in their series of instructional videos. This video features Dean Caputo talking about 1911 maintenance. It isn't a full fledged armorer's course but does point out areas that can wear on any 1911 like the recoil springs. Yesterday, the Equal Employment Opportunity Commission filed a lawsuit agains Bass Pro Outdoor World, LLC alleging that the company "engaged in a pattern or practice of failing to hire African-American and Hispanic applicants for positions in its retail stores nationwide, and retaliated against employees who opposed the discriminatory practices." The suit was filed in U.S. District Court for the Southern District of Texas, Houston Division. The EEOC’s suit alleges that qualified African-Americans and Hispanics were routinely denied retail positions such as cashier, sales associate, team leader, supervisor, manager and other positions at many Bass Pro stores nationwide. Bass Pro has come back very strongly to dispute these charges. They note that they have policies and procedures in place regarding employment discrimination and if and when violations are found, they are "promptly and firmly addressed." Bass Pro said it is extremely disappointed by the EEOC's decision to take action. "The company has cooperated with the EEOC throughout its investigation, providing extensive documentation and numerous witnesses," said Mr. (Mike) Rowland, (VP-Human Resources). Bass Pro vigorously denies the EEOC's allegations that the Company engaged in unlawful document destruction. It is our policy to retain all documents required by law. "We provided more than 250,000 pages of documents to the EEOC," Mr. Rowland said. "Despite our cooperation, the EEOC made unrealistic demands during conciliation. The EEOC cannot or will not tell us the basis for the analysis they claim to have conducted," he said. "Fundamental fairness and good faith should require that the EEOC reveal the evidence on which its claims are based before filing a lawsuit that will be long, expensive and disruptive." Another issue of contention between Bass Pro and the EEOC was Bass Pro's policy of not hiring convicted felons. The EEOC contended that it "discriminates against certain minority groups." However, Bass Pro is not just a fishing store anymore and is, in fact, one of the larger firearms retailers nationwide. Federal regulations prohibit convicted felons from handling firearms and ammunition. "Bass Pro has long been a significant supporter of numerous youth development and conservation programs that give outdoor opportunities to inner-city diverse youth. As we challenge these unfair and unfounded charges, we want to assure the millions of people from all walks of life who visit our stores annually that Bass Pro will continue to provide the one-of-a-kind experience they have come to expect,'' Mr. Rowland said. "And we will do so while fully complying with the law." Bass Pro broke ground on their newest store in Harlingen, TX earlier this year. The population of Harlingen is almost three-quarters Latino. If they were not serious about serving a diverse clientele, they would not have bothered to open a store in the Rio Grande Valley. Modern companies - and given the growth of Bass Pro, I'd classify them as modern - realize that they cannot discriminate in either hiring or in serving their customers. It is just bad business and hurts the bottom line. Newell - "Could Have Been Clearer, More Complete, and More Direct"
Lori Jane Gliha of ABC15-New in Phoenix reports yesterday that former the SAC of the Phoenix Field Division Bill Newell now says his answers in the July hearing "could have been clearer, more complete, and more direct." To that end, he and his attorney have released a 12-page document that they are calling supplemental testimony. It is interesting that Newell has chosen now to release this supplemental statement given the release of audio tapes involving ATF Agent Hope McAllister and Lone Wolf Trading Company owner Andre Howard. I'm just speculating here but this statement seems to be an effort to get out in front of what is released in the tapes. As it is, Newell is still trying defend Operation Fast and Furious in what is obviously a carefully crafted letter. He says that an errors were errors of omission rather than commission. He then makes the claim that ATF officials in Mexico and Mexican authorities were kept informed. This claim has been previously denied by both former ATF Attache Darren Gil and Mexican authorities. Finally, he goes on to say that he had no knowledge of any formal whistle-blowing until ATF Senior Agent John Dodson went public with Sharyl Attkisson of CBS News. I think this last claim is an attempt to protect himself against charges of retaliation against the whistle-blowers. Newell's letter is embedded below and can also be found here. Another day, another round of Project Gunwalker tapes. If ATF Agent Hope McAllister avoids being indicted for obstruction of justice, it will only because she has something even more damning on the higher ups in that file she spoke about earlier. The CBS News transcripts of the tapes can be found here. The Second Amendment Foundation has put out this reminder about the 2011 Gun Rights Policy Conference to be held this weekend just outside of Chicago in Rosemont, Illinois. BELLEVUE, WA – Gun rights activists from across the country will gather this weekend Sept 23-25 at the Chicago O’Hare Airport Hyatt Regency hotel for the 26th annual Gun Rights Policy Conference, sponsored by the Second Amendment Foundation and Citizens Committee for the Right to Keep and Bear Arms. SAF Executive Vice President Alan M. Gottlieb said pre-registration of over 700 for this weekend’s event suggests there will a great turnout, not only by Illinois activists, but also firearm owners from as far away as Hawaii and Pureto Rico, as well as neighboring Indiana, Ohio, Wisconsin, Iowa and Missouri. This event is free, and includes a Saturday awards luncheon that will recognize the accomplishments of gun rights leaders from the national level down to the grassroots. “Since last year’s SAF victory in McDonald v. City of Chicago before the U.S. Supreme Court, we’ve been looking forward to this weekend’s gathering,” Gottlieb stated. “We are joined by members of the Illinois State Rifle Association, which joined us in the McDonald case, and by our expert legal team that made it happen. “It is only fitting that we gather in the Windy City,” he continued, “not only for this important conference, but also to celebrate the Supreme Court victory. This was a win for all gun owners, because the high court incorporated the Second Amendment to the states, thus paving the way for challenges to onerous state and local gun laws and regulations that have placed onerous restrictions on a fundamental civil right. SAF is currently engaged in federal court challenges to restrictive gun regulations and statutes in New York, New Jersey, North Carolina, Maryland, Massachusetts and California, and elsewhere. This year’s jam-packed agenda features panel discussions covering current and possible future legal actions, the importance of election outcomes to the federal courts and Supreme Court, gun politics, legislative challenges and more. Experts from virtually all corners of the gun rights movement will be on hand, and the annual awards luncheon on Saturday promises to be a crowd pleaser. “We look forward to a very active and productive weekend for firearms freedom,” Gottlieb stated. The Washington Post doesn't think much of HR 822 - National Right-To-Carry Reciprocity Act of 2011 - if their editorial yesterday is any indication. As Sebastian at Snowflakes in Hell notes, fundamental constitutional rights are not a buffet where you can pick and choose. Oft times, ridicule rather than anger is the best way to deal with our opponents and Sebastian does an admirable job with this paraphrase of part of the Post editorial. Many states already have agreements to recognize newspaper licenses from other jurisdictions. Virginia, for example, honors licenses from 27 other states that have similarly robust standards; Maryland, which strictly regulates what newspapers may be sold, and the District, which essentially prohibits it, do not recognize out-of-state licenses. These are legitimate choices that would be overridden by a federal legislature that too easily bends to the will of the news lobby. Nevada, a strong press-rights state, rescinded its agreement with Utah because Utah does not require training in acceptable viewpoints. Why should Congress to overrule that judgment? Sen. Chuck Grassley was interviewed by Ginny Simone of NRA News about the secret tape recordings of ATF Agent Hope McAllister and Lone Wolf Trading Co. owner Andre Howard. He made an interesting point that the tapes would need to be shared with the straw purchasing defendants under the Brady Rule at some point. However, he went on to say that the trials were a long way in the future and that due to that they shouldn't have been shared with the U.S. Attorney's Office for Arizona until then. As it is, he said, this will make their investigation harder. In a speech given at the kickoff breakfast for the African-American Day Parade in New York City's Harlem, Gov. Andrew Cuomo (D-NY) called for shutting down some prisons in order to save money. He also called for more Federal gun control. Cuomo also pushed for stricter gun control laws from the federal government. "It has been decades where we have been fighting Washington for sensible laws controlling guns and we need those laws passed and we need them passed now. We're losing too many people out in the streets," he said. Lest it be forgotten, when he was Bill Clinton's Secretary for Housing and Urban Development, Cuomo was responsible for pushing extortion-like lawsuits against gun manufacturers and for signing the infamous agreement with Smith and Wesson that allowed the government to mandate many so-called safety features. That agreement was signed only after the government essentially said "sign or we'll sue you out of business." It was later repudiated by the new owners of Smith and Wesson. The Citizens Committee for the Right to Keep and Bear Arms has responded to Cuomo's new call for gun control with a blistering response. BELLEVUE, WA – New York Gov. Andrew Cuomo’s call for more gun control laws while advocating the closure of prisons in a Sunday speech proves he is “drinking too much of Michael Bloomberg’s Kool-Aid,” the Citizens Committee for the Right to Keep and Bear Arms said today. Gov. Cuomo made his comments during a Harlem breakfast prior to the African-American Day parade, according to the New York Daily News. He reportedly said closing some prisons would release more funding for local programs. Gov. Cuomo also complained that we could send a person to Harvard University for the same amount it costs to incarcerate them. “Well,” Gottlieb said, “that certainly makes sense. Let’s just move thugs to college campuses. Maybe the governor thinks criminals will climb the ladder of success by robbing a more affluent class of victims. Katie Pavlich of Townhall.com was interviewed by Cam Edwards of NRA News about the tapes that have been leaking out on Project Gunwalker. These are taped conversations between Operation Fast and Furious case agent ATF Agent Hope McAllister and Lone Wolf Trading Company owner Andre Howard. Michael Bane of Down Range TV interviewed gunsmith Cory Trapp of Gunsite about the changes he has seen in 1911s as they come from the manufacturer over the past 20-30 years. We are lucky to be living in the age we are as the factory standard gun of today was the custom gun of the late 70s. We as gun owners need to stop seeing the media as a monolithic entity and, more importantly, always assuming that they are against us. There is the elite media consisting of the networks, the cable news channels, and the major urban daily newspapers. Then there are local TV and radio stations along with the hometown newspapers. While the former is full of those who wish our Second Amendment rights were curtailed, the same can't be said for the latter. The local media is always on the lookout for a good story and they can be cultivated. If they say something stupid on the air about guns, it is most likely out of youthful ignorance rather than malice. Rather than jumping down their throats when they say the stupid stuff, seek to educate them. The results can be worthwhile. A case in point. 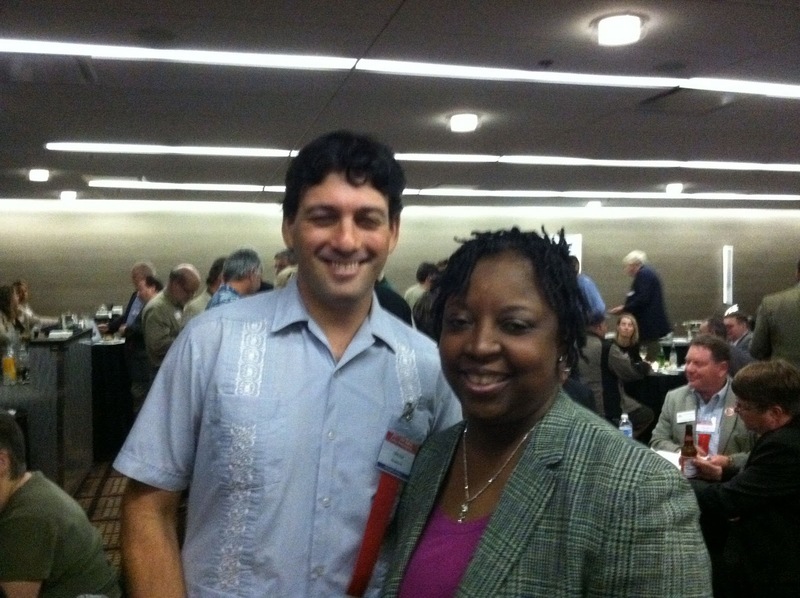 Sean Sorrentino of An NC Gun Blog has become friends with NBC-17 Raleigh's Jackie Faye. After he did a blog post last week on the increase in Concealed Handgun Permits in North Carolina, he sent it along to her. The result was the on-camera story below. I think Ms. Faye did a very fair story on the topic. If Sean hadn't established a relationship with her earlier, the story about the double digit growth in Concealed Handgun Permits probably would not have been aired. Thanks are due to Sean for taking the time to build that relationship with a local reporter. More stories like this one is what it will take to re-normalize firearms in American society. Where Is Rose Mary Woods When Holder Needs Her? 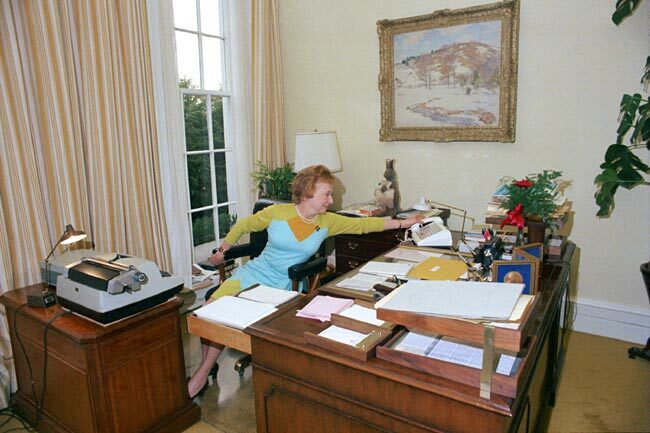 Rose Mary Woods was President Richard Nixon's personal secretary. She was the one officially responsible for the infamous 18-minute gap in the Watergate tapes. Whether she was the one who accidentally erased the tape or whether it was really an accident will remain one of the unsolved mysteries of the Watergate affair. Woods demonstrating how she accidentally erased the tape. Given the newest batch of recordings released by Sharyl Attkisson of CBS News of ATF Agent Hope McAllister and gun store owner Andre Howard, Attorney General Eric Holder is probably wishing that a Miss Woods or a modern equivalent had erased these tapes. The quote of the day comes from David Codrea. In his National Gun Rights Examiner column, he looks at the extreme reluctance of the elite or mainstream media to even acknowledge Operation Fast and Furious as a scandal. According to Dartmouth College political scientist Brendan Nyhan, it isn't officially a scandal until it makes the front page of the Washington Post and the reporter uses the word scandal. So—if the only "official" media outlets willing to call “Gunwalker” a “scandal” are some jerkwater paper in racist, anti-immigrant Arizona, the Teabagger/Troglodyte-appealing Faux News and a CBS blog that isn‘t even getting air time on the actual network news program anymore (hey, I’m just trying to get into the mindset of the elite information gatekeepers), what chance do we flyover knuckledraggers have of getting the mighty Pravda on the Potomac to call an international criminal conspiracy resulting in untold human deaths and reaching across bureaus, agencies and departments and layers of lawyers at least to the Cabinet level a “scandal”? It was under questioning by Minority Counsel Fred Thompson at the Watergate hearings that presidential aide Alexander Butterfield revealed the existence of tape recording devices in both the Oval Office and the President's office in the Executive Office Building. These tapes provided the nail in the coffin to Nixon's presidency. Now more tapes are leaking out of the conversations between ATF agents and the owner of Lone Wolf Trading Company Andre Howard. These tapes seem to indicate a strong effort to conceal the details of Operation Fast and Furious as well as a strong disdain for Senator Grassley. The one item that was mentioned that I find particularly interesting was the assertion by ATF Agent Hope McAllister that she had a file that would cover her if the operation went sour. I wonder if she is still in possession of that file and, if so, have copies been provided to Congressional investigators. The more I see and read of Project Gunwalker the more it reminds me of Watergate. Of course, no one died in Watergate nor was the press complicit for the most part in hushing up the scandal. The excerpts of the tape and transcript are from CBS News. Andre Howard of Lone Wolf Trading Company in Glendale, AZ is not stupid. After being forced to cooperate with the ATF agents runnings Operation Fast and Furious, he took the smart step to record some of his conversations with one of the lead agents in the operation, ATF Agent Hope McAllister. These tapes have been turned over by Mr. Howard to the Justice Department's Office of Inspector General and to Congressional investigators. In the tape below obtained by Sharyl Attkisson of CBS News, Howard and McAllister are discussing the third firearm that turned up at the scene of Border Patrol Agent Brian Terry's murder. The transcript of the tape can be found on the CBS News website above. If you may recall, President Obama, Attorney General Eric Holder, and Assistant Attorney General Ronald Weich have all said that that the DOJ Office of Inspector General should be the lead investigator into whether there was any wrongdoing in Operation Fast and Furious. Sharyl Attkisson reports today that the OIG is reported to have passed these tapes along to one of the subjects of the investigation - the U.S. Attorney's Office for Arizona. Law enforcement sources and others close to the Congressional investigation say the Justice Department's Inspector General obtained the audio tapes several months ago as part of its investigation into Fast and Furious. Then, the sources say for some reason the Inspector General passed the tapes along to the U.S. Attorney's Office in Arizona: a subject in the investigation. It's unclear why the Inspector General, who is supposed to investigate independently, would turn over evidence to an entity that is itself under investigation. The Inspector General's office had no immediate comment. I am speculating here but one explanation as to why OIG turned over evidence to the U.S. Attorney's Office would be so as to coach their testimony whether before OIG investigators or before Congressional investigators. The role of OIG in this investigation is and has been tainted from the very start. Sen. Chuck Grassley (R-IA) recognized this early on which is why he called for an assignment to an outside Inspector General in a letter to the head of Integrity Committee of the Council of Inspectors General on Integrity and Efficiency back in March. A spokesman from the Office of the Inspector General today said, "The OIG officially provided the United States Attorney's Office with a copy of the recordings in question so that the USAO could consider them in connection with the government's disclosure obligations in the pending criminal prosecutions of the gun traffickers. Prior to receiving the tapes, the OIG made clear that we would have to provide a copy of the recordings to the United States Attorney's Office because they would need to review them to satisfy any legal disclosure obligations." Do you use Twitter to follow the news and blogs? If so, you may want to consider adding me to your Twitter follow list. I leave Friday for the Gun Rights Policy Conference in Chicago. I intend to both blog and Tweet extensively from the conference. Given the lineup of speakers, signing up for Twitter would be a great way to follow the action if you can't be in Chicago. If you look in my sidebar, you will see a section near the top that says "Subscribe to this blog". Among the methods for subscribing is Twitter. You click on the button that looks like the one below and it will take you to my Twitter page. My Twitter ID is @jpr9954. Thanks and I hope to have lots to report from Chicago in the never-ending fight for gun rights. Copyright trolls Righthaven LLC and its owner Steve Gibson are in the crosshairs of Wayne Hoehn's attorneys. Seems that Righthaven has an unpaid judgment against them and Hoehn's attorneys are asking the U.S. Marshalls Service to seize their bank accounts for non-payment. That would be sweet justice because Righthaven's campaign against bloggers was always about money and never about seeking justice. AB 144 which bans unloaded open carry in California is sitting on Gov. Jerry Brown's desk awaiting either a signature or veto. The Brady Campaign opposes UOC because it scares rich white liberals buying overpriced coffee. That it may or may not deter a criminal is irrelevant to them. Cop carry control advocates hope that California will now pave the way for the rest of the country to outlaw the practice. My paraphrase of Brian Malte's comment makes about as much sense as his statement does. The sad thing is that I realize it and he does not. The Professional Outdoor Media Association is sponsoring a free webinar on Tuesday, September 20th about traveling by air with firearms. You can register for this free webinar by registering here. Sorry sir, you can't take that trophy rack on board; and the fee to put it in cargo is $150. Ma'am, this gun case does not meet airline standards, we can't check it. Nope, you cannot bring that firearm back into the U.S. The U.S. Travel Security Administration (TSA) strictly enforces regulations. Violations can result in criminal prosecution and civil penalties of up to $10,000 per violation. Each airline/country also has its own rules and regs. What should you do to circumvent big hassles? Act like a Boy Scout. Be prepared so you don't find yourself in one of these positions or worse. During a live webinar, Sept. 20, at 2 p.m. Eastern time, North American Hunting Club Executive Director and North American Hunter Television Show Host Bill Miller will teach you how to eliminate travel hassles. 1) The most important thing to know about bringing guns back into the U.S. The heaviest focus of the webinar will be on airline travel and crossing borders. However, many tips also apply to interstate travel in private vehicles. Miller's on the road more than 100 nights a year and 99.9% of the time he’s traveling with firearms, ammunition, game meat, trophy racks and even his hunting dogs. Learn his travel secrets. In a story reported by KCBS in San Francisco yesterday, two innocent bystanders were wounded when police shot at a fleeing suspect. The suspect, later identified as 20-year-old San Pablo resident Jesus Paredes Rodriguez, was not hit. The woman, who was hit in the thigh, was treated at San Francisco General Hospital and has been released, (SFPD Lt. Troy) Dangerfield said. The man, who was struck in the lower leg, was still in the hospital as of this afternoon. Both their injuries were described as non-lifethreatening. Rule No. 4 - Be sure of your target and of what is beyond it. There is a reason for that rule and the two innocent bystanders who had an unexpected visit to SF General were the victims of this rule violation. If a concealed carry holder had done this, he or she would be in jail charged with a felony. The officers in question, however, are on paid administrative leave and, let's be frank, they probably will not only not be charged with a felony but will keep their jobs. The whole incident brings to mind the proposed regulations by SF Sheriff Michael Hennessey for getting a carry permit. Those regulations are predicated on the gun prohibitionists' favorite notion that police are "the only ones" to be trusted with a firearm since they are "trained" and thus they need to make it very hard for a "civilian" to obtain a permit. But why is it that CCW holders almost never shoot innocent bystanders but the same can't be said for law enforcement? Delmar Polite was asleep at home when someone kicked in his door at 2:30am early Monday morning. Fortunately, he had a .357 revolver. While he had never fired it in the 9 years that he owned it, he still had it when it was needed. Frightened or not, Polite did what a lot of us would do. He grabbed his pistol and went downstairs to defend himself and his home. He got off a couple of rounds — Polite didn't hit a blessed thing — but managed to ward off the home invaders. Polite called police and, when they showed up, they confiscated his gun — standard practice, nothing out of the ordinary — until they finished their investigation. Thanks to a 13-year-old misdemeanor conviction, Polite might not get his gun back at all. Polite was not perfect in his younger days as he had three misdemeanor convictions. Unfortunately, one of them was for Misdemeanor Assault on a Female in 1998. According to the story, Polite had gotten into an argument with his then girlfriend which escalated into pushing and shoving. The police were called and he was arrested. When he went to court, he represented himself and was told that he'd get no jail time if he'd just plead guilty to the misdemeanor which he did. Nothing was ever mentioned about Federal gun laws and misdemeanor domestic violence convictions. As of September 30, 1996, it is illegal to possess a firearm after conviction of a misdemeanor crime of domestic violence. This prohibition applies to persons convicted of such misdemeanors at any time, even if the conviction occurred prior to the new law's effective date. A qualifying misdemeanor domestic violence crime must have as an element the use or attempted use of physical force or the threatened use of a deadly weapon. For example, a conviction for a misdemeanor violation of a protection order will not qualify, even if the violation was committed by a violent act, if the statute does not require the use or attempted use of physical force or the threatened use of a deadly weapon. The U. S. Attorney's Office can determine which misdemeanor convictions qualify. In addition, the statute contains due process requirements regarding counsel and jury trials. Absent compliance with these due process requirements, the misdemeanor conviction will not qualify as a domestic violence conviction for purposes of Section 922(g)(9). Moreover, a person may be able to possess a firearm if the conviction has been expunged or set aside. The maximum penalty for violation of Sect 922(g)(9) is 10 years. As columnist Scott Sexton notes, it is never OK to get into a physical altercation with your spouse or girlfriend. That said, when is your debt to society considered paid? Whether Polite should get his gun back isn't an easy question. At a minimum, he shouldn't be charged with having it. Perhaps the best prism to look through belongs to Delmar Polite and the terror he suffered Monday. "I don't know what would have happened if I didn't have that gun," he said. And you know, I think Delmar Polite is right - what would happened if he didn't have a firearm with which to protect himself from a home invasion. The supporters of the Lautenberg Amendment would say that he gave up that right when he pushed his girlfriend in 1998 but should such a conviction for domestic violence then become a death sentence 13 years later? Dave Workman - "It's Not Just Walgreens"
Do Gun Numbers And Fatalities Correlate? Was She Really A NRA Operative In Disguise? Win Free Guns! Infuriate An Anti-Rights Bigot! Two Weeks Until The Gun Rights Policy Conference!